Great for creating ambient settings, increasing your privacy and filtering sunlight, Curtains on the Net has an extensive online range of curtains for your Brisbane home. 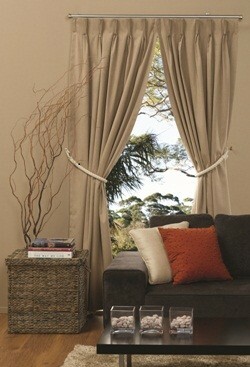 We specialise in ready-made and made-to-order curtains; we offer 10% off when you buy 10 or more curtains! For quality curtains in Brisbane at an unbeatable price, contact us on 1300 852 912 or send us an online enquiry for further assistance. Please note that orders that include different products may arrive at varying times as they may be dispatched from different warehouses and workrooms. For prompt delivery of your order, we recommend that you use a business address or another location where someone will be able to sign for the delivery between 9am and 5pm Monday-Friday.